Planning a trip with a large group of friends? Perhaps you and your local society want to arrange an outing? For many reasons people often need to use a minibus or people carrier that takes a larger number of people. As with car hire, minibus hire agreements will also come with standard insurance which includes an excess payable in the event of a claim. This can be quite hefty and not what you want to be saddled with at the end of a fun week away. The best way to avoid this is to take out Minibus hire excess insurance. If you are hiring a minibus you should consider buying your excess insurance in advance as you may get a better deal. For example if you were to hire a Ford Galaxy with Hertz you could be paying £168 for a week's excess insurance. With MoneyMaxim you could be paying as little as £15! Here at MoneyMaxim we can offer minibus hire excess insurance to suit your requirements through several different companies. If you are hiring a minibus with 9 seats or less (including the driver) you can use most standard car hire excess insurance through our comparison service. If there is a limitation on the number of seats (currently one company does) we will detail that when we cover policy details. Policies start from under £1.80 a day and can include cover for tyres, windscreens, misfuelling, lost keys, breakdown and recovery. If you are likely to make more than one trip in a year with your group, or if you are travelling for more than 17 days, an annual policy may work out a cheaper option. We can also provide excess insurance for minibuses with seats for 10-15 people (including the driver) through Questor. Their policy costs just £8.44 per day. The cover available for larger minibuses differs from that for standard car hire. There will still be an excess of £350 payable for damage and theft claims. Drivers aged between the ages of 21 and 84 can be covered. 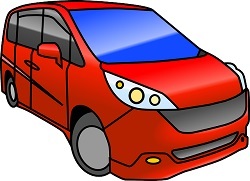 Unlike for cars, larger minibus hire excess insurance has a rental period limited to 14 days. There is also the option to take a European upgrade which enables you to take the minibus over to the continent for an additional premium of about 50p per day. There is no annual cover available. If you are hiring a larger minibus we are not currently aware of any policies available other than those available from minibus hire firms themselves. Please do make sure you do read all the terms and conditions to make sure any policy you buy is suitable for you and your parties requirements. MoneyMaxim can help you find excess insurance for your minibus hire and save you money.